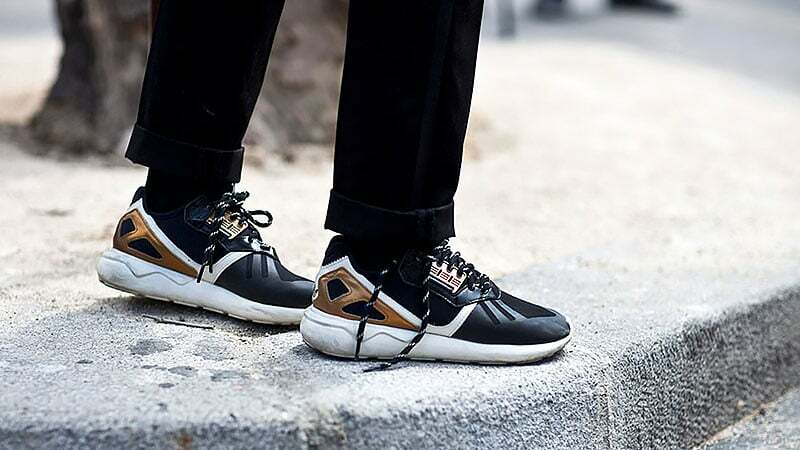 If you have been contemplating which are the best sneakers for men right now, then look no further, we have gathered the finest new styles for you from the men’s fashion weeks S/S16. 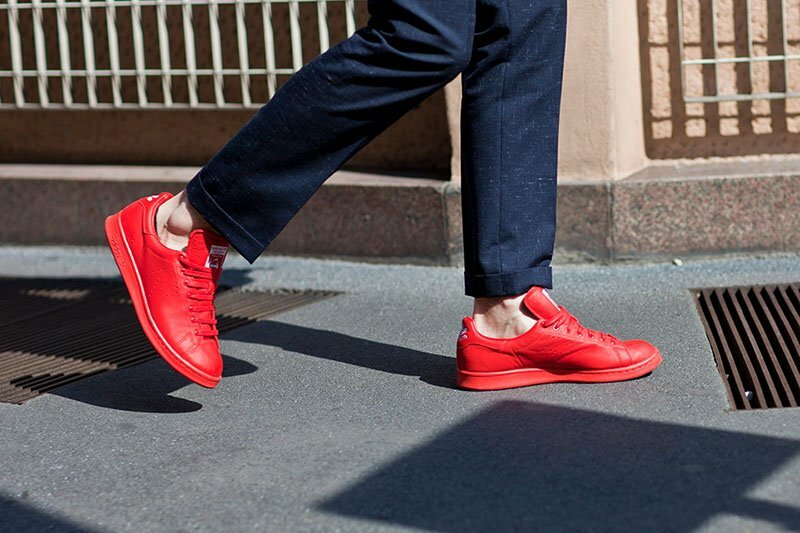 We look at athletic and aerodynamic styles, and clean street-ready takes on the most versatile sneakers for men. For those who enjoy any extra height and spring to your step added to a classic shoe, these are the ones for you. 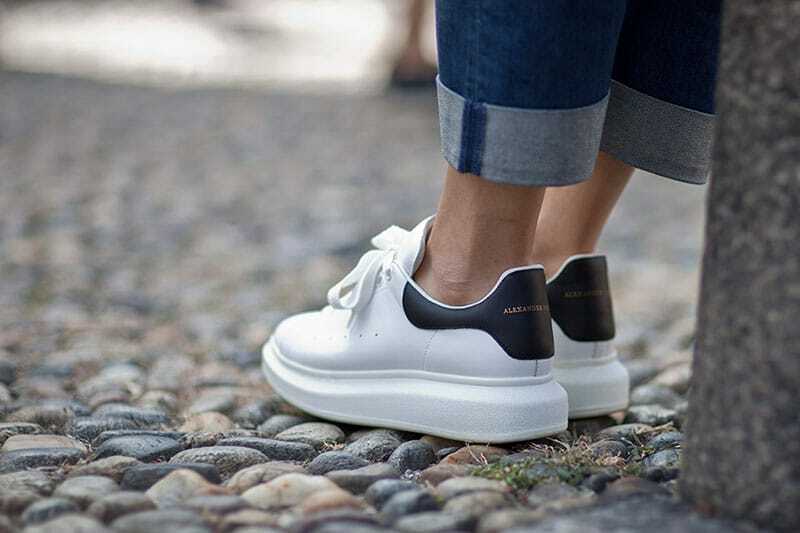 Alexander McQueen Leather Sneaker takes what was a basic style, and plays with a platform, making the style look current and crisp. Wear it with a classic denim pair of jeans, or rolled up trousers and bright socks for a more daring look. For anyone who prefers designer over streetwear, this may be the blurred line you’ve been looking for. Nike was, is, and will always be a go-to shoe for those street-savvy men who feel comfortable playing with styles and colour. 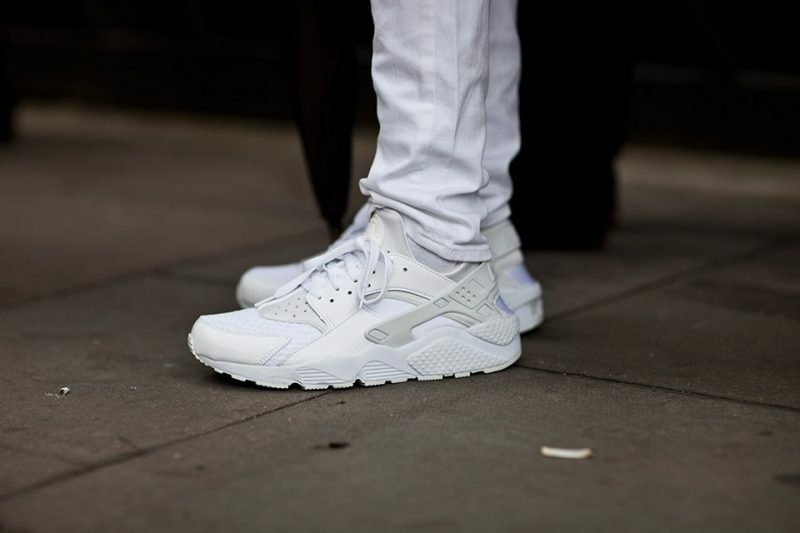 However, there are always exceptions to the rule, and having said this, the Nike Air Huarache in bright white will prove this rule wrong with ease. For those who want to work sneakers in with tailored looks, or anyone with a general phobia of colour, this pair goes perfectly with smart monochromes, clean lines, and a more sophisticated ensemble. If this sounds like you, then this is definitely the pair to take out on the town. Now, as said before for Nike, these Huarache NM Neoprene sneakers had to find a place on our list for their ease of wear and versatility. But this time, not just for the clean-cut enthusiasts. This style has a stronger sportswear feel, and feature functionality as a bonus. We see this style being best worn casually, whether you’re an on-the-go type of guy, or ready to hit the streets. Whether it’s with t-shirt and jeans, or trousers and a button-up, this style is too easy to throw on with any look. 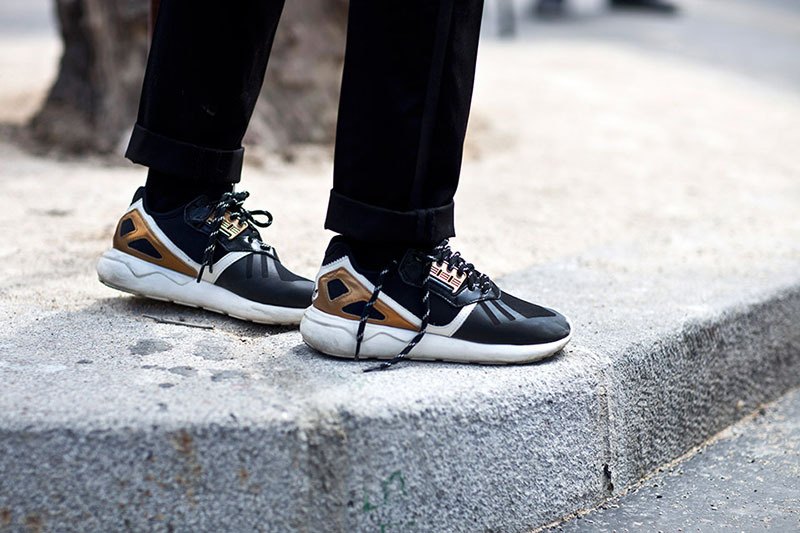 The perfect pair of sneakers should be easy to work into any look, comfortable, but something subtle about them stands out. We believe this pair of Adidas Originals ‘Tubular’ style ticks every box, and although there are a million and one colourways to suit every look, we are smitten on the black and gold combo. Wear this style with a clean pair of rolled up trousers, and turtle neck if you want to work sneakers into a truly fashion forward, easy going look this season. For those who are extremely delighted by the words ‘capsule collection’ and ‘limited edition’ then we suggest making a small investment in the Stan Smith Adidas by Raf Simmons sneakers (there will be no regrets, we promise). Seen heavily on the men’s fashion week S/S16 circuit, we can only admire it for it’s bright colour and yet classic body. Although the style comes in other softer shades aside from the famous white and green combo, we love to see the bright red worked into any man’s look. The colour proves itself to be strangely enough versatile for any look, from pairing with prints, to muted tone looks all year round. 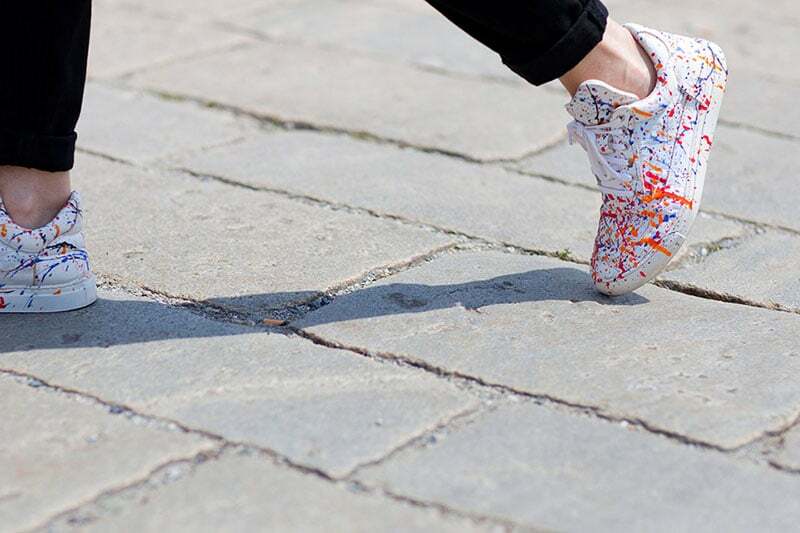 Reebok has cemented its place in the ever-evolving world of fashionable sneakers, successfully reviving its name and credibility in the style and streetwear scene. 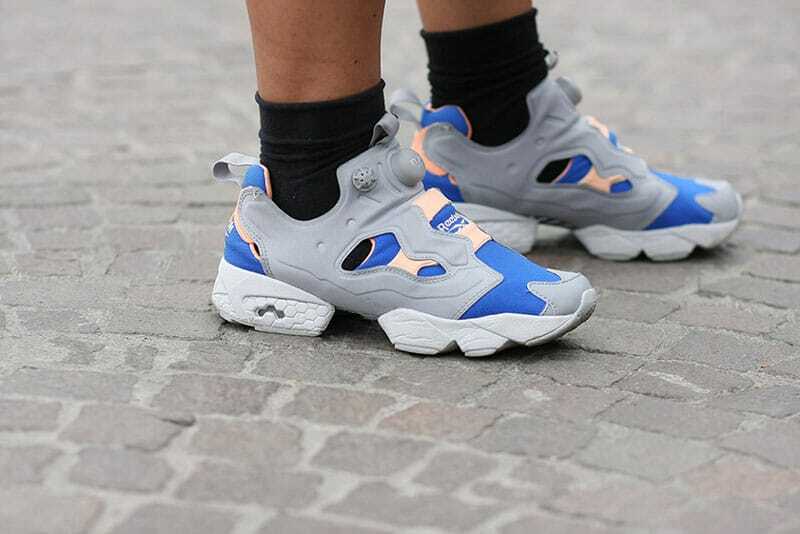 With the ability to select from a huge range of colours and fabrics for the Insta Pump Fury, Reebok makes it almost impossible not to get it right for any wearer. We love seeing it worn in loud and daring colours, with a care-free and contemporary look to match. Whether that means wearing bright prints or bold colours with it, we’ve enjoyed seeing it worn throughout the men’s fashion week S/S16 circuit, and hope to see it re-worked in all kinds of ways to come. 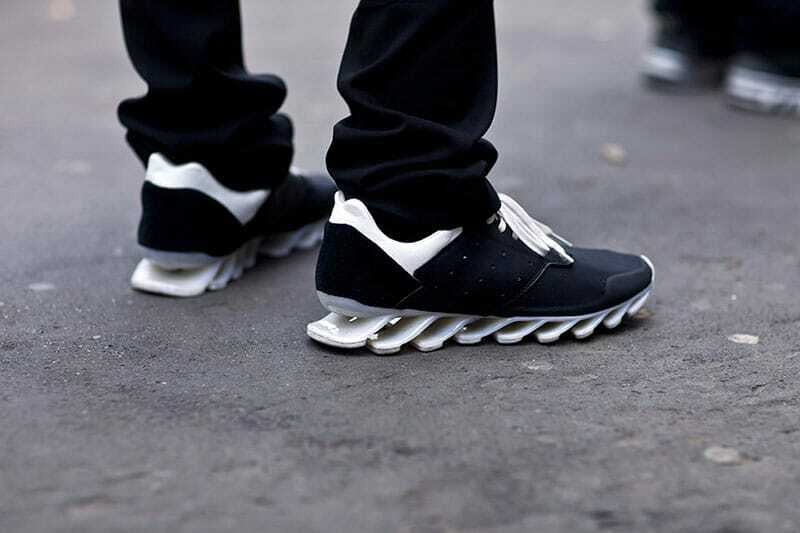 When Rick Owens produces a shoe with Adidas, you know it’ll be a hit. With Rick’s authentic raw factor crossed with Adidas’ classic know-how, we are left with a shoe which screams fashion-forward. This style is instantly recognizable for its sleek details and sole structure. Wear it with layered leather looks, monochromes, and dark denims from Spring to Fall, and know it’s a quick and easy stand-out addition to almost any man’s wardrobe. Skaters and surfers step aside, Vans are no longer hailed as the go-to shoe for the young and wild type. For the pair known for its loyal demographic, they’ve paved the way for a new kind of wearer. From bold prints to subtle tones and unusual fabrications, we hope to see more of Vans Syndicate X Tyler on our leading street-stylers. These can obviously be worn down with a plain hoodie and shorts, or worked up with denim and a leather or suit jacket. For anyone who has a severe sneaker addiction, these Adidas x Jeremy Scott styles will be no stranger to you. 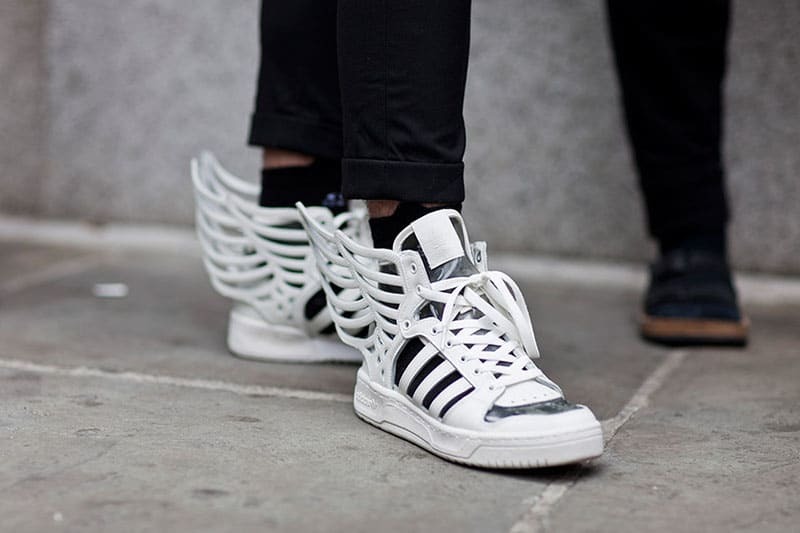 Having had a cult following over the past years, Jeremy Scott adds some real character to an Adidas classic style. With this style, in particular, it’s much easier to work with whatever your look may be, from soft monochrome suiting to a street-ready bomber jacket and rolled up trouser combo. We hope to see this collaboration stand the test of time, as we continue to see it worked in every different style on the street season after season. This pair of Filling Pieces has by far reigned in popularity through the past six months, and finding them can be a challenge. Having been created through inspiration from one of the most expensive paintings in the world, ‘No. 5 1948’ by American abstract expressionist Jackson Pollock, it fulfils every sneakerhead’s dream of wearing art on their feet. This style is extremely versatile, for any look that needs a ‘splash’ (so to speak) of colour, this is the accessory to match.